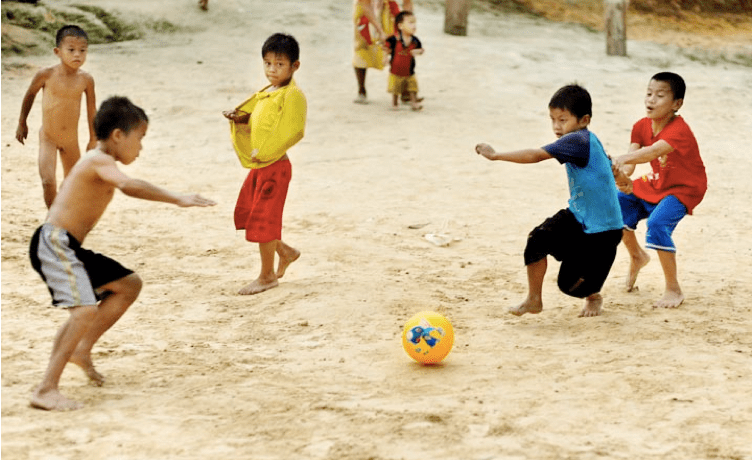 Over 40% of the under five year olds living in the Penan villages due to be flooded at Murum are malnourished and 12% are severely malnourished, according to yet another shocking report that the government has attempted to keep secret. This is just one of a series of disgraceful admissions about the criminal neglect of these tribal people by Taib Mahmud in the wake of his state-sponsored destruction of their forests. Other monumental failings are in the categories of education and health. “The data presented on school enrollment is actually a description of a dismal failure. This is not a failure on the part of the community but on the part of the education authority”. 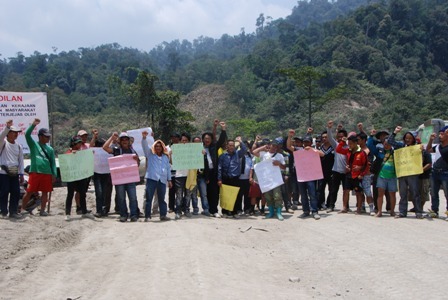 Following our release of the resettlement plans the Penan have stepped up their protests and intensified the blockade against lorries constructing the dam by cutting off a second road to the site. 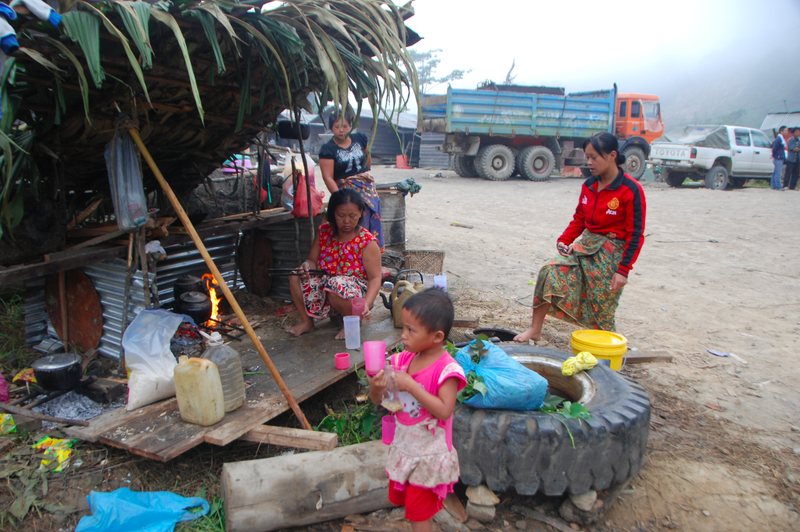 The so-called Contemporary Ethnography report on these vulnerable people was commissioned in 2010 as part of a Social and Environmental Impact Assessment that was designed to be “the first step in achieving ‘international standards’ for the resettlement of those communities affected by the Murum HEP“. In fact it has been kept secret in contravention of all international protocols covering the resettlement of indigenous peoples affected by dams, including the United Nations Declaration On The Rights Of Indigenous Peoples (UNDRIP), to which Malaysia is a party. Worse, no moves have been made to reach agreement with these people over what should happen to them when their communities are due to be flooded early next year. Today, we are able to release the first public copy of this study on the condition of the Western Penan, leaked by disgusted insiders within the Sarawak Government. It details how these Penan moved from sustainable lifestyles in the 1990s to their current “below subsistance level” lifestyle, thanks to logging and the absence of any state assistance to make up for the destruction of their lands. The details of the report lay bare the appalling and shocking extent of Taib Mahmud’s cynical neglect of these jungle people, who have been left literally starving as a result of his destruction of their lands and sources of food. So, we ask Chief Minister Taib Mahmud, who has now been confirmed by his own daughter-in-law as the richest man in Malaysia and probably the whole of South East Asia, what happened to all those billions of ringgit from selling off the jungle that belonged to the Penan, while they stay starving, without doctors, schools or transport? We also ask Sarawak Energy and its‘Partners” at Hydro-Tasmania on what basis do they think their management of their social and corporate responsibilities towards the Penan reach benchmarks that would acceptable under the protocols of the International Hydropower Association, which it hosts next year or that of UNDRIP? Perhaps the most sinister aspect of Taib’s neglect of these Penan people, who have lived in these jungles for generations, is the refusal of the brutal old tyrant to even admit that they officially exist. Whole families have joined the blockade, fighting for survival. Will they be left to die? Is this merely an attempt to save more money by denying these people their rights? Is it just another attempt to prevent people who would reject Taib Mahmud from having a chance to cast their vote? Or is this deliberate and murderous revenge against the Penan for having so publicly exposed the greed, plunder and corruption of Taib Mahmud through their blockades against the loggers, which have received publicity around the globe? (i) House maids – There are two cases of Penan women working as housemaids earning a monthly wage of RM200; both are from Long Wat. 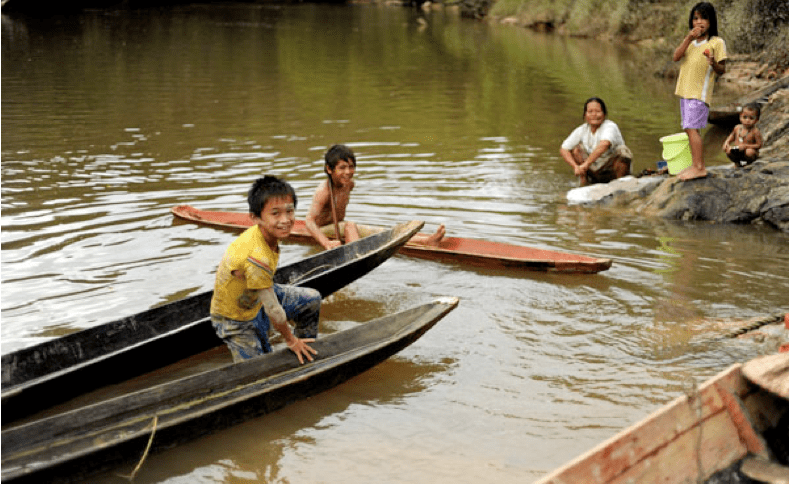 “The Penan longhouse communities claim that since 2005, the community has never received any assistance or services from either the Government or NGOs. This has left them the impression that they are just insignificant in the power equation and easily forgotten. Given their remoteness and the difficulty and expense to visit them regularly, this sentiment is understandable”. So what about agricultural assistance to help them help themselves? “In 2009 most of the Long Wat households did not establish rice fields because they had no seed to plant due to total crop failure in 2008. 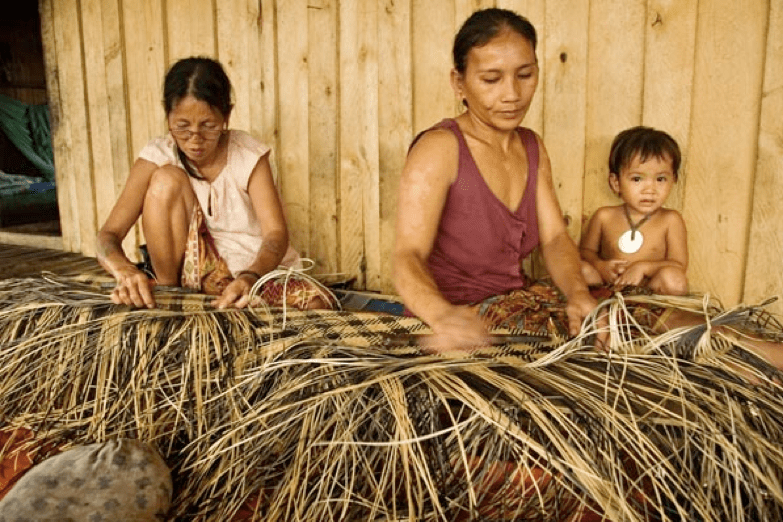 Furthermore, they could not obtain seeds from Penan farmers of other longhouses (as most were in a similar situation) nor did they receive any assistance from any of the relevant government departments. The genocidal tactics of Taib Mahmud come on top of a string of outrages and corruptions that leave a stink of shame on Malaysia’s Federal Government, which still refuses to get rid of this greedy ruler. Constantly they have begged for Taib to leave, time and again he has promised and then refused. It seems he wants to ensure that he has washed away and destroyed the very last of Sarawak’s unique and special tribal cultures and stolen all they have left for him to steal, before he feels his work is done. And Najib seems willing to do his bidding. 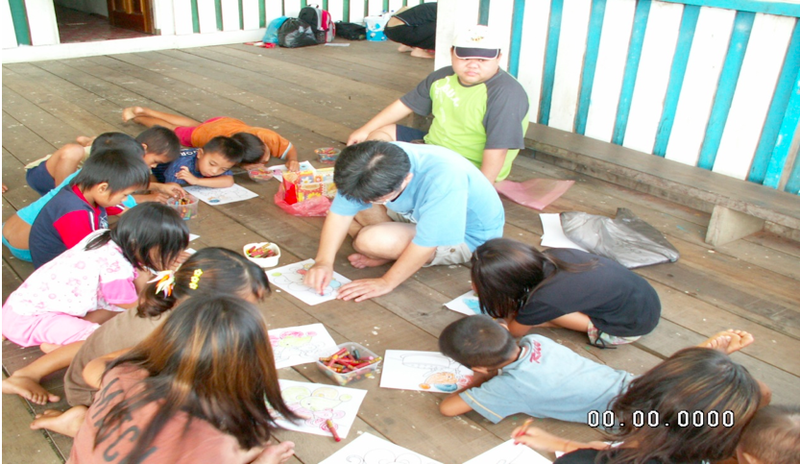 Just this week BN announced an 80% cut in the rural education budget for Sabah and Sarawak! 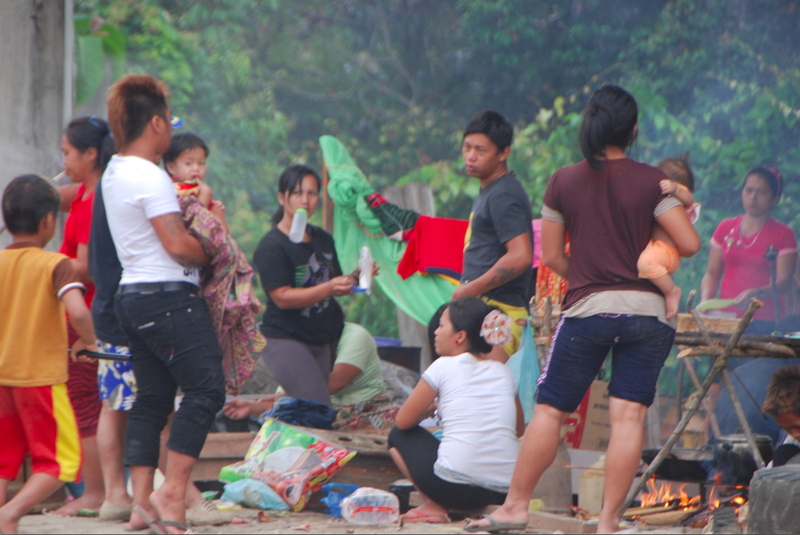 Is this the Prime Minister’s response to the shocking conditions of communities like the Western Penan? It is not just the Education Department that has been a “dismal failure” for the Penan and the people of Sarawak. The writers of BN’s own official reports have heaped so much shame on their political clients with their objective and professional analysis of the state of Penan that, 5 years since the construction at Murum began, 5 years after these reports should have been published and then negotiated and agreed, they were still kept locked up as secret documents. Taib even had five years to do something about this situation and show some small piece of humanity and generosity towards these people who have lived so much longer in Sarawak than his own second generation family, yet he has chosen to watch them starve and (he hopes) to die out for ever. HE HE HE…Wonder how Yang Di-Kasehi Taib and his BN goons help the poor Dayaks to achieve success and yet keeping them even poorer and uneducated…????? BINTULU: Pakatan Rakyat (PR) which has a different political agenda cannot emulate the power-sharing concept that Barisan Nasional (BN) has been practising for the past 50 years, said Chief Minister Pehin Sri Abdul Taib Mahmud. Moreover, leaders of the various component parties of BN practise a high degree of tolerance and respect and are able to work together in harmony with each other which has led to the success of its power-sharing concept, he said. On the other hand, the opposition does not practise power-sharing, instead its leaders are politically divided, he said in his two-hour speech at the second Parti Rakyat Sarawak (PRS) triennial delegates’ conference here yesterday. “The concept of dividing power and power sharing are two different things. In BN, its leaders who are of different races agree from the start on equal power sharing, unlike the opposition which wants to share power only after getting the mandate from the people,” added the chief minister who is also state BN chairman. Elaborating on the power sharing in BN, Taib said the concept is evident when all its component parties discharge their duties in close cooperation with each other with mutual respect, wisdom and vision to serve the people, without any selfish personal or party agenda. Besides that, Taib also stressed that BN has a proper governing system, whereas the opposition has no experience to show in running a government. “611 (15 per cent) cases are still under process and only 81 (2 per cent) applications were rejected as they were under Section 47 or due to breach of title condition,” he said. Therefore, based on the statistics, the chief minister said the government, through the Land and Survey Department had received over 84 per cent of applications for renewal of titles. “I have always emphasised that this policy on land lease renewal is a reasonable one and I have always said that the state government is sensitive and responsive to the needs of the people,” he said. For example, the chief minister said, prior to this policy of renewal of land leases, there was no provision in the Sarawak Land Code for renewal before the expiry date. “Having considered all feedback received during the recent land seminars organised in Bintulu, Sibu and Kuching with inputs from leaders of SUPP, I have decided to simplify the renewal process with regard to land used for residential, commercial and agricultural purposes. THIS IS THE RULE: Jabu showing a copy of the Standing Order to Wong (not in the picture) when debating on the poverty eradication programme. DEPUTY Chief Minister Datuk Patinggi Tan Sri Alfred Jabu yesterday assured that the government “is committed to eradicating poverty”, but he wanted people to understand that the poverty line would not be static. “Poverty eradication programme does not stop at a particular year. The poverty line in 2020 will be different from that of now. “To people who suppress and oppress the opportunity of us eradicating poverty, we will condemn you,” he said when responding to a supplementary question raised by Snowdan Lawan (BN-Balai Ringin) in the august house. Jabu, who is also Minister of Rural Development, pledged that the Penans in Long Beluan and Ulu Baram under the Rural Transformation Programme (RTP) would earn a monthly household income of at least RM2,000 by 2016. He then blasted the opposition for having deprived the rural community of their opportunities to earn higher income. “You, the opposition, do not sympathise with our people.” His comment instantly propelled Wong Ho Leng (DAP-Bukit Assek) to defend the opposition bench. Jabu, however, declined to let Wong have the floor. The minister was repeatedly heard saying “Shut up” and “Sit down” as well as “You observe” while showing a copy of the Standing Order (SO). When Wong refused to heed the advice, Jabu turned to Speaker Datuk Amar Mohd Asfia Awang Nassar to discipline the opposition leader. Jabu also labelled Wong as ‘lawyer buruk’ (terrible lawyer). KUCHING – Parti Bansa Dayak Sarawak (PBDS) will take drastic action to raise up the education level of the Dayak community, including effecting a change in the culture of the people if needed be. The party is putting education as a top priority for its activities in the next two to three years in order to ensure that the community is not left behind in the k-based economy. Party President Datuk Amar Leo Moggie said efforts were being made in trying to get the community, the parents in particular to understand the need to change their attitude and concept towards education. If the culture of the people was found to be a main factor behind the Dayak’s current attitude towards education, then it must change, he said to reporters after officiating the opening of an Educational Motivation Seminar at Kpg Entinggan, Samarahan today. “The performance of the Dayaks and Bumiputeras in particular in education is not as good as compared to the Chinese for instance. Why is that so? Maybe it is the cultural background. If so, what we need to do is to change that,” he said. In its seriousness to address this issue, the party had at September last year set up the PBDS Education Committee. Starting next month, a research would be conducted to obtain systematic data as to why the Dayaks were not performing satisfactorily at the school and university level, Moggie who is also the Minister of Energy, Telecommunications and Multimedia said. The research would be carried out separately under the supervision of lecturers by University Kebangsaan Malaysia and Universiti Teknologi MARA with the PBDS Education Committee as the main body overseeing it. Showing concern as to the level of education performance especially in rural schools, he said the trend of the quality of passes for the past few years had not been that satisfactorily. The research would be professionally carried out and the results obtained would hopefully give the party some idea on what was needed to be done to improve the situation. “This is a serious matter. It is a major challenge for us,” he stressed. He said the people had to know that while the government had been doing a lot to help, such as providing the support, building schools, giving education funds, loan schemes to pursue education at higher levels, the community must be willing to change their attitude too. A k-based society could only exist if the people were educated and had the necessary skills, he pointed out. “Parents must be reminded that they must give priority to education,” he said.